US-based medical technology firm NeuroPace has secured $74m of funding to advance the commercialisation of its brain-responsive neurostimulation system to treat epilepsy. The company has closed the current round of funding carried out by the KCK Group and OrbiMed Advisors. The funding will be used to commercialize NeuroPace RNS system, which secured approval from the US Food and Drug Administration (FDA) to treat adults with partial (focal) onset seizures that are not well controlled by medication alone. 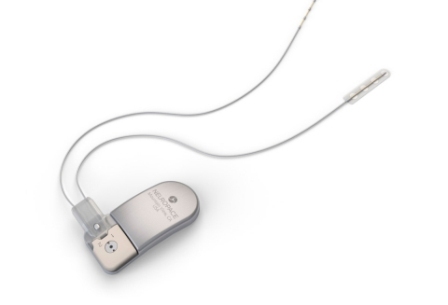 NeuroPace RNS System is claimed to be the first and only closed-loop brain-responsive neurostimulation system, which will prevent epileptic seizures at their source. The RNS system will treat seizures by continuously monitoring brain waves, which will help to detect unusual activity and automatically respond with imperceptible electrical pulses before seizures occur. It will allow physicians to detect and stimulate parameters of the implanted RNS neurostimulator non-invasively to personalize therapy for each individual. Image: NeuroPace RNS system will be used to treat adults with partial onset seizures. Photo: courtesy of Business Wire.